As Europe is shaken by recent terror attacks in Brussels, the world shows a sign of solidarity by lighting monuments with the colors of the Belgium flag. My featured artist today is a progressive metal band from Brussels. Belgium has a HUGE metal scene and bands from all metal genres, especially death, black and goth metal. Oceans of Sadness is a progressive metal band from Belgium. 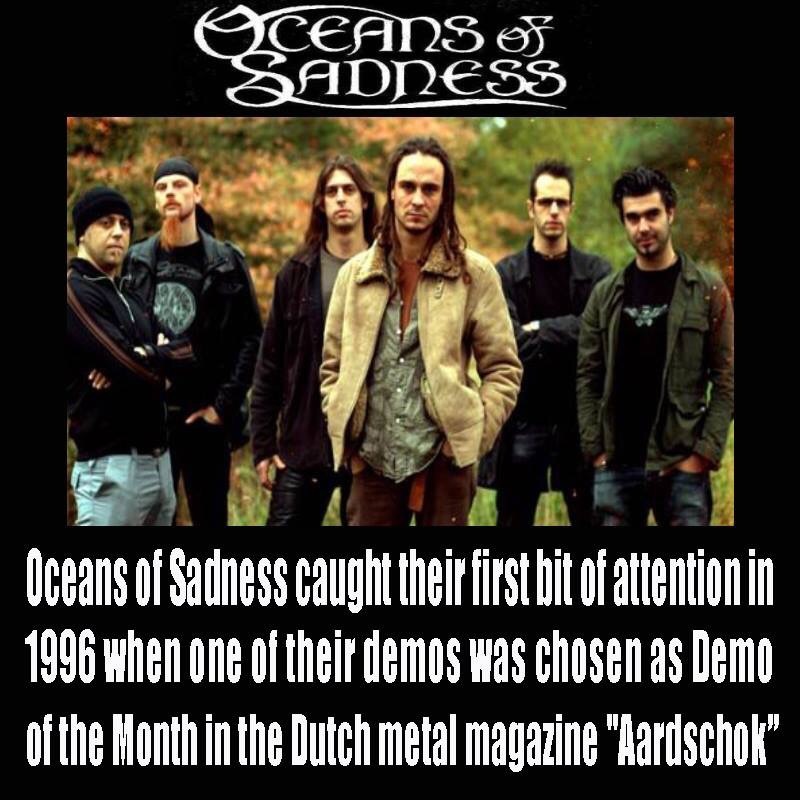 Oceans of Sadness caught the public eye in 1996 when one of their demos was chosen Demo of the Month in the Dutch metal magazine Aardschok. They released their first album, For We Are, in 2000. One year later, they played for the first time at Graspop Metal Meeting, the most famous Belgian metal festival. They would return there in 2003 and 2007. Oceans of Sadness definitively broke through when their single So Close was given airtime by music television channels TMF and JIMtv. Oceans of Sadness have been supporting acts for a.o. Dimmu Borgir, Within Temptation and Obituary.